ARG’s ATLAS system, short for Advanced Transactional Link & Analysis System, is a proprietary, internally developed decision support system that assists ARG analysts in identifying revenue / invoicing issues. The system is built on a SQL Server DB engine and uses client booking, invoicing, payment, tracing and other data captured transactions as inputs. 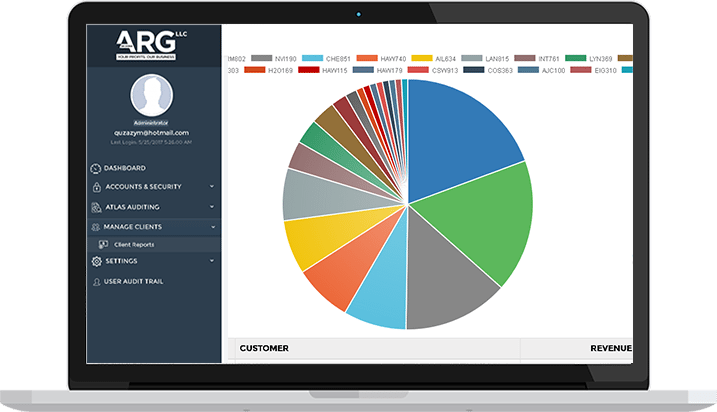 ATLAS has built-in features including, predictive analytics and ad hoc querying functionality that enables ARG profit recovery analysts to analyze millions of transactions in an efficient and effective manner. The end result is that ARG is able to conduct a comprehensive analysis to maximize our clients’ profitability.